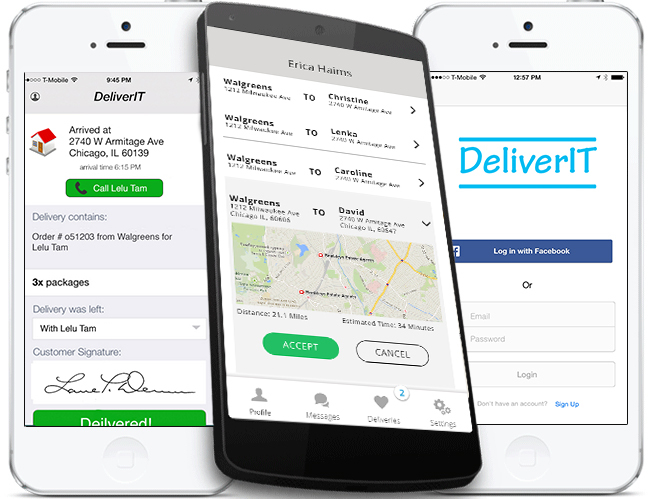 DeliverIT is the newest concept in mobile logistics - a project which will allow for same day shipping at a fraction of the cost of traditional methods. Logistics as we know it today can be greatly improved. Not only is it time consuming and resource intensive, but also has a negative impact on the environment. Traditional shipping methods ship from the first available warehouse which can be hundreds of miles away. The implementation is complicated but the Idea is simple - Utilize local physical inventory along with crowd-sourcing and smartphone technology to deliver products more effectively and efficiently. If interested in becoming an investor, vendor or a DeliverIT driver please CONTACT US and we'll get back to you with some more information. © 2014 Tantech Solutions LLC All rights reserved.